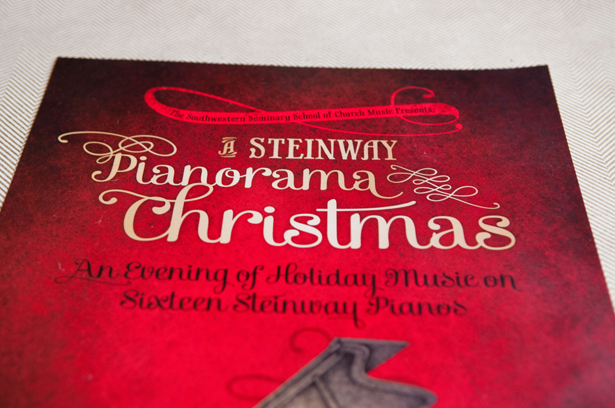 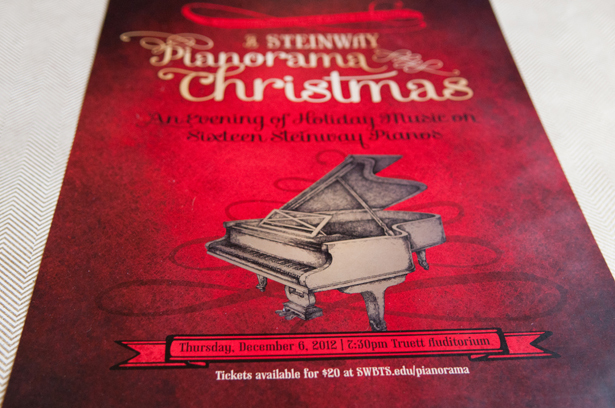 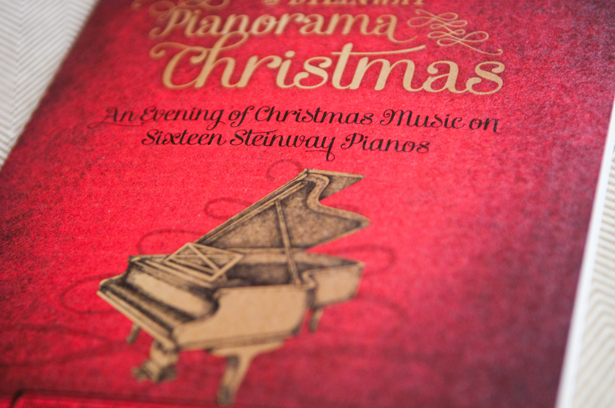 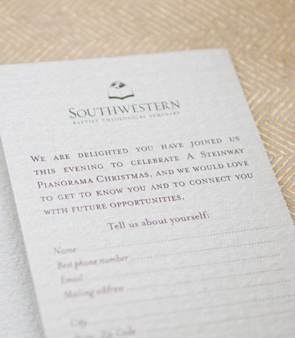 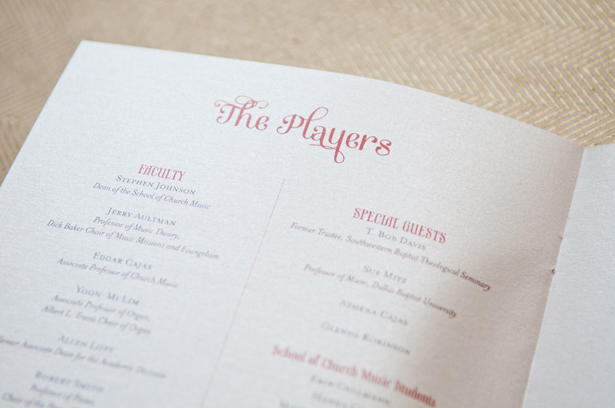 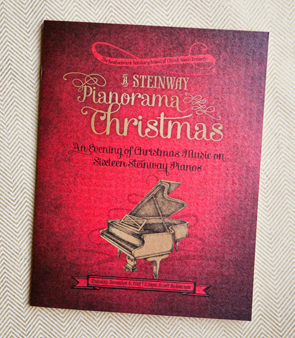 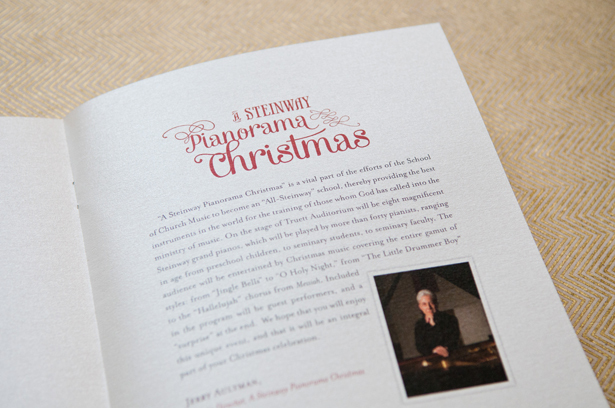 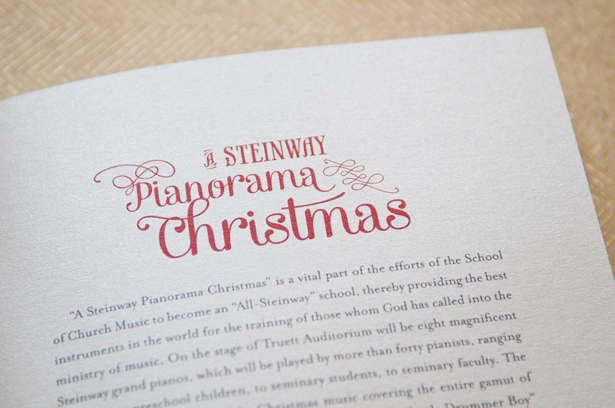 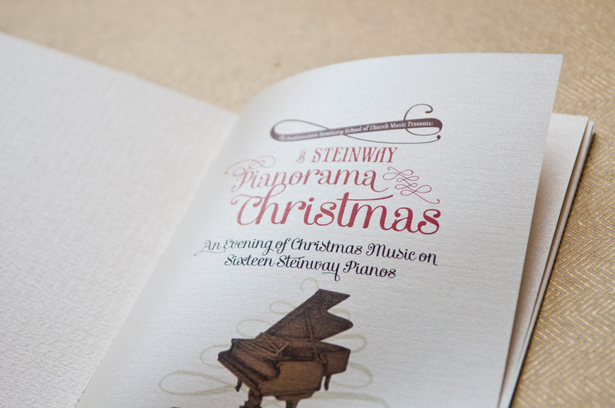 Southwestern’s Pianorama Concert was followed by the President’s Club Dinner. 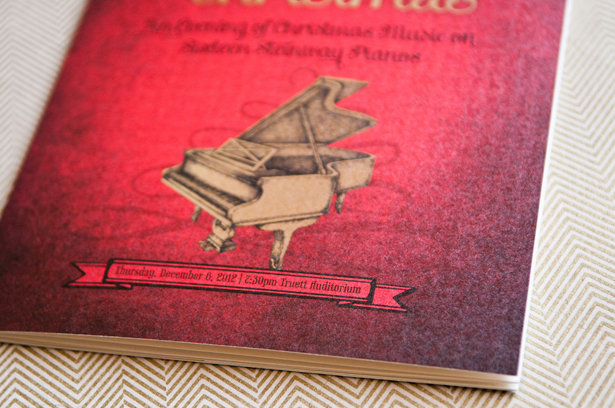 This concert is similar to the one from the year before. 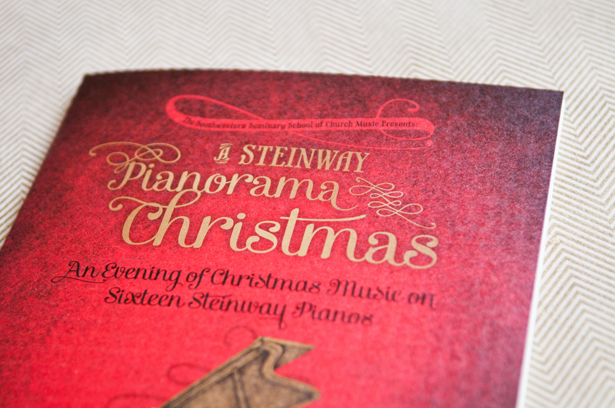 Sometimes it is challenging to have a theme that is so specific like a piano. 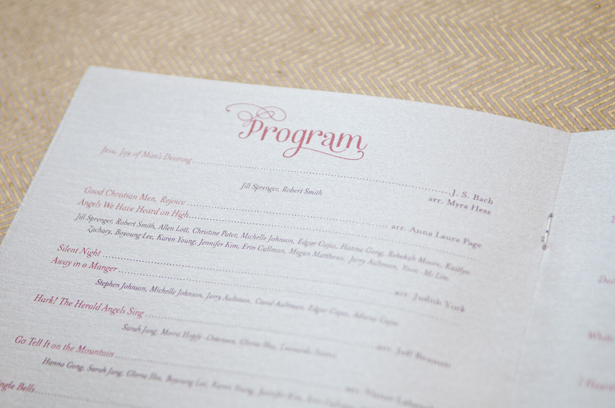 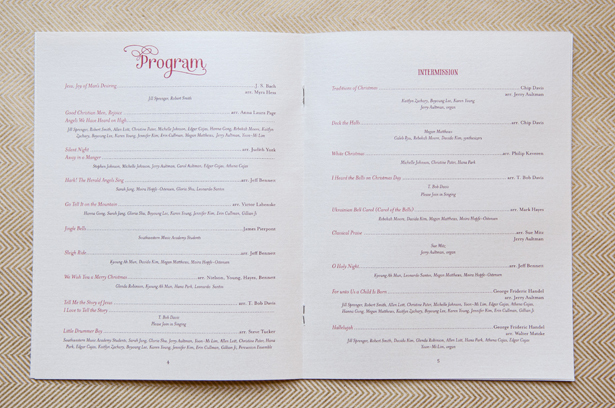 But once we figured it out I was very happy with how the advertisements and program turned out.